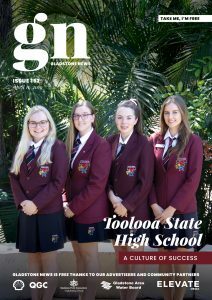 Baby turtles, space telescopes, bugs and drugs and explosive science experiments hit Gladstone last month as part of World Science Festival, and Minister for Science and the Arts Leeanne Enoch has announced this one-of-a-kind Festival has been secured for Queensland for the next three years. “The World Science Festival has had its home in the USA for 11 years, and the Palaszczuk Government was able to secure the festival in Queensland for three years until 2021, Ms. Enoch said. “This is the only festival of its kind in the Asia-Pacific region and helps enhance Queensland’s international profile as a leader in science, technology, engineering, and maths. Last year’s festival drew more than 180,000 visitors from all over the world and brought in over $7 million in direct and incremental spending in Queensland and 45,359 event-specific visitor nights. This year World Science Festival had an expanded program across Gladstone, Chinchilla, Toowoomba, Ipswich and Townsville sponsored by community partner QGC. “World Science Festival is a celebration of the intersection of arts and science and with the promise of three more festivals on the horizon, the future for science in Queensland is unlimited,” Ms. Enoch said. Queensland Museum Acting CEO Dr. Jim Thompson said it was heartening to see how many Queenslanders immersed themselves in science and technology as part of the festival. “This is a jam-packed festival program featuring scientific discussions, film screenings, trivia nights and of course our popular Street Science! extravaganza, which is a free family event featuring hands-on learning, robots, drones, slime and more,” Dr. Thompson said.